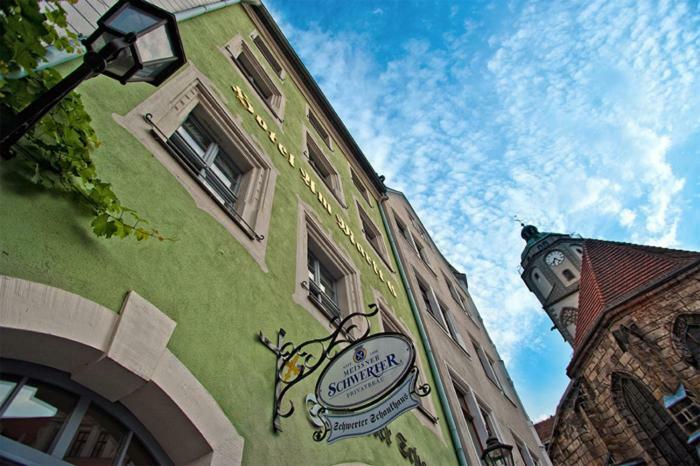 Lock in a great price for Schwerter Schankhaus & Hotel – rated 8.6 by recent guests! The staff was flexible and allowed us to check in early! The location was perfect. We happened to be there for the wine festival which made for driving congestion and parking but it all worked out great. It was a lot of fun. Fantastic location on the square. Parking close on small market. Great restaurant on site. Good breakfast. Easy short walk to sights. Old world. Wonderful staff and wonderful location in the main square. Fantastic value. Spacy rooms, one with beatifull view to Altmarkt. Breakfast was excellent for such a small hotel. Schönes ruhiges Zimmer, nettes Personal, super zentral, sehr gutes Frühstück. Öffentlicher Parkplatz in der Nähe günstig. Super freundliches Petsonal. Mitten in der Altstadt. Jeder Zeit gerne wieder. Einfach empfehlenswert. Direkte Lage in der Altstadt. Das Zimmer hatte ein sehr schönen Ausblick direkt auf den Markt der Altstadt. 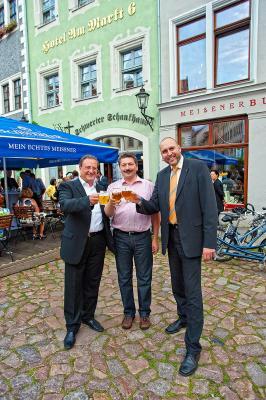 Als Willkommensgetränk gab es ein Bier vom Fass der Privatbrauerei Meissner Schwerter. Das Frühstück ließ keine Wünsche offen. Schwerter Schankhaus & Hotel This rating is a reflection of how the property compares to the industry standard when it comes to price, facilities and services available. It's based on a self-evaluation by the property. Use this rating to help choose your stay! One of our best sellers in Meißen! Dating back to the 17th century, this hotel features a country-style restaurant, a traditional brewery and a daily breakfast buffet. 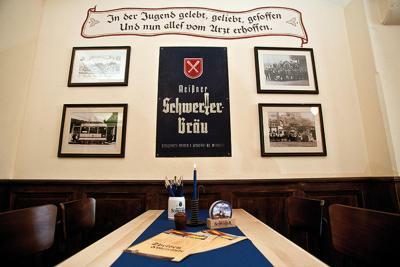 It is located in Meißen, just 1,650 feet from the Elbe River and Albrechtsburg Castle. All of the bright rooms at the Schwerter Schankhaus & Hotel come equipped satellite TV, a seating area and a private bathroom with hairdryer. 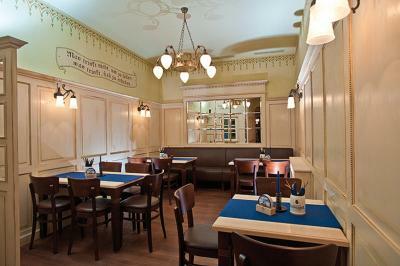 Hearty local cuisine and light meals are available in the Schwerter Schankhaus restaurant. 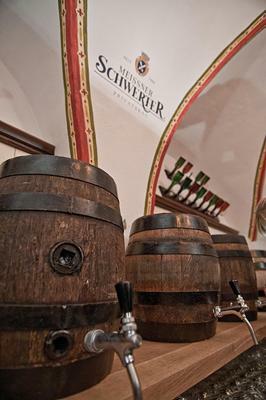 Guests can also enjoy a visit to Saxony's oldest private brewery. The historic Meißner Dom cathedral is only a 5-minute walk from the Schwerter Schankhaus & Hotel. Meißner Railway Station is also just 0.7 mi away. 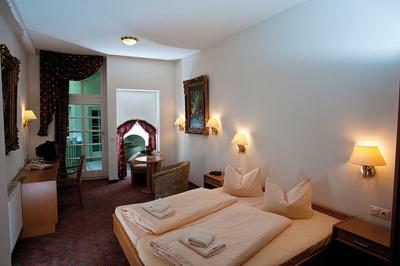 When would you like to stay at Schwerter Schankhaus & Hotel? Bright, classically furnished room with satellite TV and a private bathroom. 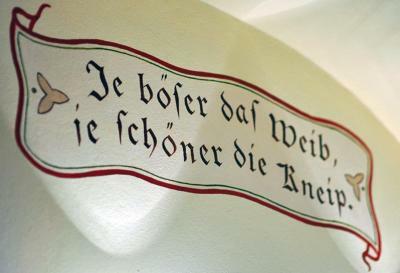 House Rules Schwerter Schankhaus & Hotel takes special requests – add in the next step! Schwerter Schankhaus &amp; Hotel accepts these cards and reserves the right to temporarily hold an amount prior to arrival. Schwerter Schankhaus & Hotel accepts these cards and reserves the right to temporarily hold an amount prior to arrival. Guests with bikes may wish get in touch directly with the accommodations, as the tourist office offer bicycle parking. Check in was hard to figure out. No standard reception, you have to go to the bar and you can’t arrive early. I couldn't get internet on my phone or tablet. We were enjoying a nice beer on their patio when they decided to close it down. They said that the staff would suffer from the temperature change when going from inside to outside frequently. The outside temperature was 60F/15C - really! Other arriving prospective customers were turned away. Why have a patio when the staff views it as a health hazard! Radiators barely warm at night. Use the extra blanket if you are sensitive to cold. The second room had windows to the inner yard with a noisy air condition running all night. There is no elevator in this hotel, so it is necessary to carry strollers, suitcases, etc. up the many stairs. We loved everything about this hotel. We didn't want to leave! The hotel reception is located in the restaurant downstairs. The women working there were extremely kind and helpful to me and my family. Our room was spotlessly clean, the beds were really comfortable, and the family room was very spacious for my family. The view of the Old Market square was beautiful! The room could not be any closer to the porcelain bells in the church tower, too. What a treat! We ate many meals in the downstairs restaurant, which was convenient and good. The taste and variety of the local beer on tap was terrific. Breakfast was good with a decent variety. Each table has its own coffee thermos! The location of this hotel cannot be beat. It was fabulous to walk around the neighboring streets in the daytime and nighttime. The nighttime was so quiet and peaceful after the tour groups departed. The hotel does not have its own parking, but there is a public lot down the street from the hotel. I believe we paid €5-7 for the day. We would definitely stay here again! LOVED it.